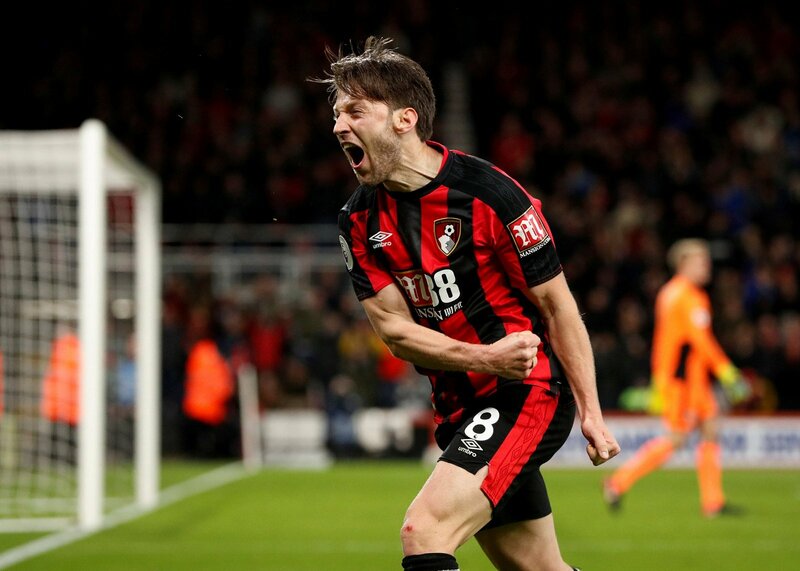 Bournemouth manager Eddie Howe has provided a puzzling update on midfielder Harry Arter via the Bournemouth Echo, with the Republic of Ireland international a reported transfer target for West Ham United. Well, The Express reported on March 2 that the Irons are ready to make a £10m bid for the 28-year-old this summer with David Moyes keen to have a shake-up of his midfield options at the end of the season. While Arter has been a key player for the Cherries in recent years, he has found first-team opportunities hard to come by over the course of the last couple of months, potentially throwing his future with the south coast outfit into doubt. His manager, Howe, has explained the situation of the Sidcup-born player via the Bournemouth Echo, in order to explain his recent absence from the XI. The 40-year-old said, via the Bournemouth Echo: “He is not totally out of the picture at all. Harry’s still very much part of our plans. “I have to make decisions, pick teams, pick squads and Harry’s only focus is to try to get back to his best. “Harry has a challenge on his hands to displace Dan Gosling and Lewis Cook, who are performing very well in the team at the moment. How has Arter done this season? While he was a regular earlier in the campaign, the 28-year-old has found himself sidelined in more recent times, and he hasn’t played a single minute of their previous eight Premier League matches, leaving West Ham fans unimpressed with the link to him. Would he be a good signing for West Ham? He would certainly bring some energy and character in the middle of the park for the Irons – something they have been badly lacking at points this season – but his recent non-involvement at Bournemouth would have to be a bit of a worry for the club and Moyes. They need to be signing players that are improvements on what they already have and who can be key first-team players for a number of years, and it is difficult to see Arter fitting into that category.